Dr. Michael Leingang was born and raised in New Orleans, Louisiana. After attending Louisiana State University, Dr. Leingang graduated from Louisiana State University School of Dentistry and he is licensed by the Georgia State Board of Dentistry, the Louisiana State Board of Dentistry (retired) and the Texas State Board of Dentistry (retired). 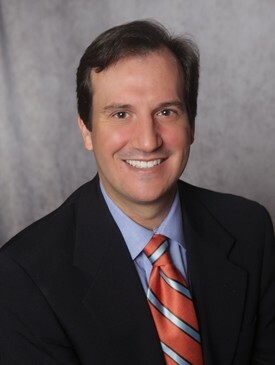 He has been in private practice as a dentist since 1994, and in East Cobb for almost 20 years. Dr. Leingang regularly attends continuing education courses and is committed to ensuring that his patients receive extraordinary, individualized dental care. Since 2001, Dr. Leingang has served many volunteer roles in Hinman Dental Society (including serving as co-chairman for events, as well as hosting many nationally-known dentists speaking in all aspects of dental care). In 2013, Dr. Leingang served as Volunteer Co-Lead for the Georgia Mission of Mercy, where 2,000 low- or no-income adults patients received free access to dental care. Each February during National Children's Dental Awareness Month, Dr. Leingang visits area elementary schools and presents a dental health program and provides goody bags containing toothbrushes, toothpaste and floss to approximately 350 children. Outside of his dental practice, Dr. Leingang enjoys golfing, coaching his sons' sports teams, traveling, and spending time with his family. He lives in East Cobb with his wife, Susan (an attorney, but also an active volunteer throughout the East Cobb community), and their three sons. Dr. Leingang has been actively involved in East Side Baseball Association (where he has coached his sons' baseball teams for approximately 15 years), and has served as Commissioner of both the Shetland and Pinto leagues. The Leingang family are active members of St. Ann's Catholic Church.